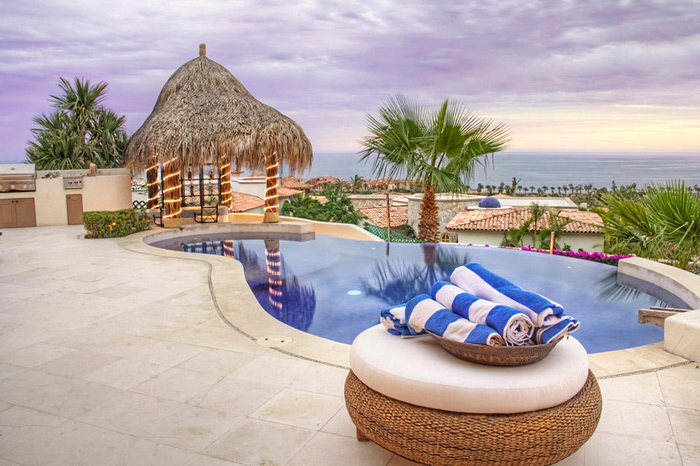 Cabo del Sol is a premier golf and residential community featuring both a Nicklaus golf course and a Weiskopf course, two signature golf courses situated along the breathtaking, crystal clear blue waters of the Sea of Cortez. Cabo del Sol offers a relaxing, tranquil atmosphere yet is still only five miles from the town of Cabo San Lucas and the world renowned Cabo Marina, offering fishing charters, bars and restaurants and lots of shopping. The Cabo del Sol master plan offers a selection of exclusive neighborhoods: La Riviera, Las Colinas, Vista Azul, Las Brisas, Buena Vista and El Peñon.